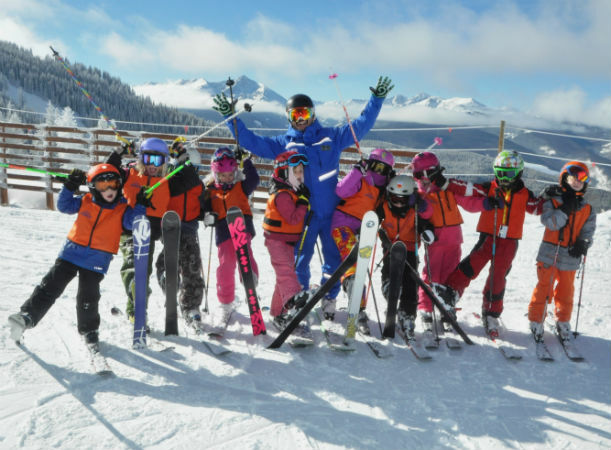 We sat down with the Product Manager of the Vail Development Team, Kirsten DeGroat, to talk about what DEVO is all about and why kids love participating in this season-long, weekend-only program. DEVO aka the Vail Development Team is a season long ski and snowboard program that caters to our younger weekend guests. Teams are comprised of skiers and riders with a similar ability, and skill level. 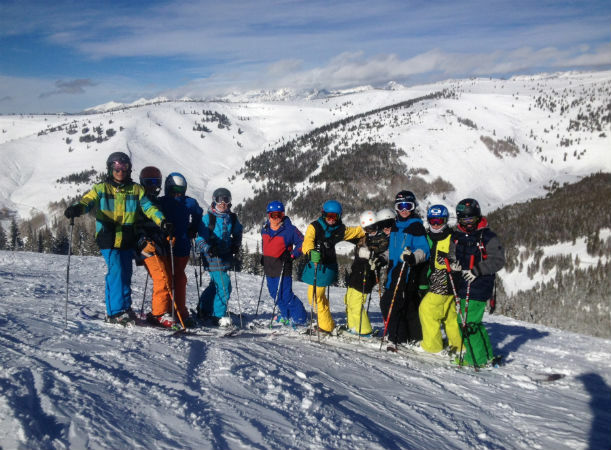 Children in the DEVO program ski and ride with the same coach and team all season. This provides an amazing opportunity for growth and connection with the other students and the coach. A great number of our teams stay together for multiple years, creating lifelong friendships and passion for skiing and riding. 2) What ages of kids can participate? We have teams with children as young as 4 and teens that are 18 years old. 3) How often do you see children and families returning to the program? The majority of our program is made up of returning families. Some of our teen programs have been skiing with the same team since they were 7! 4) What are some success stories? Not to name drop but we have had some professional skiers in the DEVO program, Toby Dawson, Heidi Kloser, and Sara Schleper. I also feel some of our greatest successes are the graduates of the DEVO program that are sharing their passion by teaching skiing and riding in the Vail Ski and Snowboard School. 5) What are the DEVO instructors like? The DEVO instructors are an amazing group. They dedicate a big portion of their season to this program and their teams. More than coaches I think of them as mentors, they build amazing relationships with not only their students but also their families. They teach skills on the snow and also share their passion for skiing, the outdoors and the mountain lifestyle. 6) What does a typical DEVO day look like? A typical DEVO day starts at the Vail Village Parking Structure at 8:40, this is where parents drop off children with their coaches. At 9:00 teams head out to the hill either via bus to Golden Peak or via Bridge Street to Vail Village and are off skiing and riding. Out on the hill the day varies for each team. We have teams that focus their day on freestyle, big mountain skiing, racing, all mountain skiing and the skills it takes to do all of the above. Coaches start with forming a base of skills that they expand upon through progressions to set their students up for success in the more challenging terrain. In-between all of the skiing and riding, classes stop for lunch (which is included for the Jr. teams). At the end of they day DEVO kids meet their parents in Golden Peak at 3:30. This is when parents get a briefing on all of the day’s exciting adventures, skills mastered, vertical feet conquered, medals earned, face shots received, bowls dominated, and general fun had! 7) What days and dates is it offered? Pricing? This year we are offering a Saturday program (15 days), a Sunday program (8 Days) a Teen program (10 Saturdays) and a Race program (30 days Saturday and Sundays). The pricing ranges from $640 (Sunday Youth Program) to $2445 (Jr. Race Program). DEVO has and incredible variety of weekend program offerings. 8) Why would you recommend DEVO? I would recommend DEVO because it is so much more than a ski and snowboard program. Yes, your children will learn about skiing and riding and gain skills to take them to new fun and challenging terrain. Beyond that, the program lends itself to relationships, experiences, and a passion that will last a lifetime! SIGN-UPS FOR THE 2014/15 VAIL DEVO SEASON END OPENING DAY, NOV. 21! The DEVO blog series is written by Kirsten DeGroat, Product Manager of the Vail Development Team. For more information on Vail Devo, contact Kirsten at kdegroat@vailresorts.com or call 970-754-3257.